However minor, OTAs are not a bad thing. Usually. 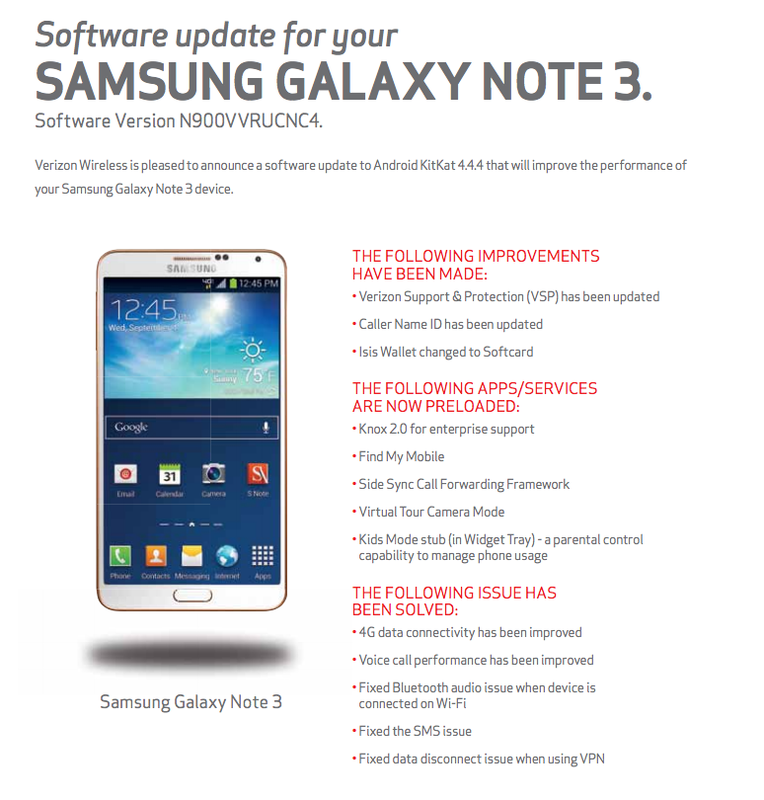 Rest assured, though, the updated firmwares bound for Verizon-compatible variants of the Samsung Galaxy S4 and Galaxy Note 3 are innocuous enough. 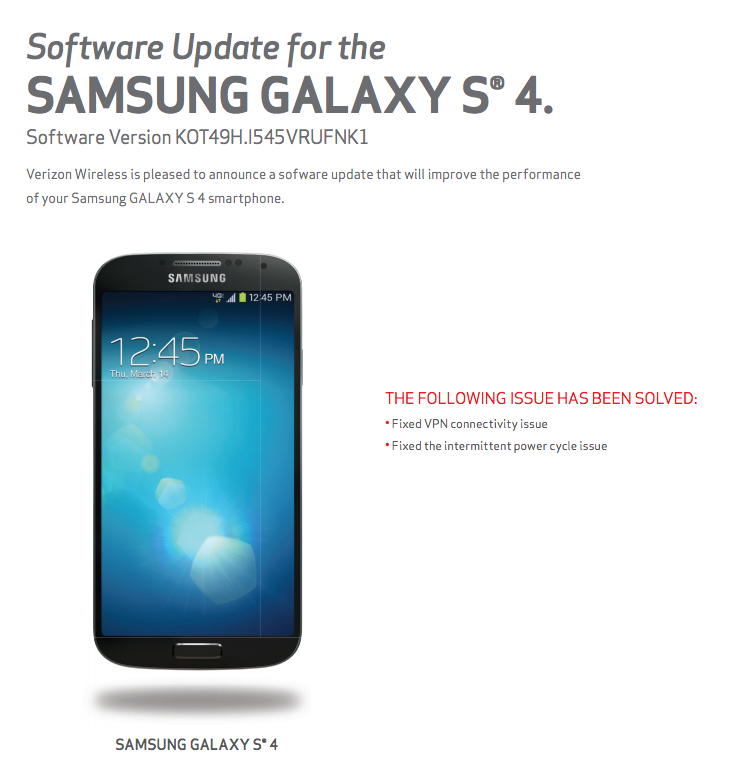 On the Galaxy S4, a power cycling problem and VPN connectivity have been fixed. That’s it. The Note 3’s update is a bit bulkier. Verizon’s suite of pre-loaded apps – Verizon Support & Protection (VSP), Caller Name ID, and Softcard – have been updated, and new Samsung apps added. Knox 2, Find My Mobile, Side Sync Call Forwarding Framework, Virtual Tour Camera Mode, and Kids Mode stub are now among the shortcuts you’ll find in your launcher’s drawer, for better or worse. Issues resolved include inconsistent 4G data and voice, a problem with Bluetooth audio, SMS errors, and VPN disconnects. The OTAs are rolling out now, so should you own one of the aforementioned smartphones, you should see a notification shortly. Changelogs can be viewed below.